Raindrop. After the smaller One 522, a larger alternative in the Acer Aspire One 722, also equipped with an AMD Radeon HD 6250 graphics, shows up at our office. Is it a sensible range expansion or will the waves that it causes subside quite fast? The Aspire One 722 stands out in a crowd due to its design and performance. It humbles every other similarly priced Atom-based netbook. Moreover, it packs in an HDMI port and a bright 11.6" widescreen display. On the other hand, its keyboard could have been better, and the system has a bit of a heating issue. Still, considering the performance, it's a good deal for folks looking for a decent netbook without crossing the 20k mark. Battery performance with the Acer Aspire One 722 was a welcomed bright spot as it was able to get about 7 hours of life, which is about an hour longer than other similar notebooks. 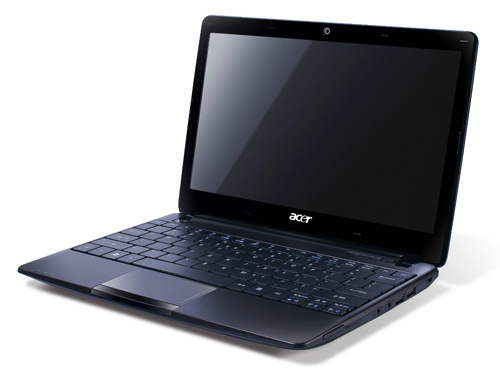 With its netbook pricing and eye-catching design, the Acer Aspire One 722 is a pretty good value. You get a larger, higher-res screen than a netbook, nearly 7 hours of battery life, and the ability to play HD video for just $379. Other ultraportables powered by AMD's E Series processor offer more oomph--and the keyboard could be better--but overall the Aspire One 722 is a solid pick for bargain hunters. 77.17%: This rating is not convincing. The laptop is evaluated below average, this is not really a recommendation for purchase.